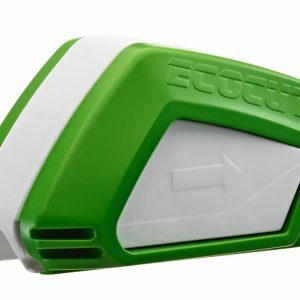 How does ECOCUT pro work? In the event of an effective revocation, the services or items received by both sides are to be returned and, if applicable, any benefit made (e.g. interest) should be returned. If the service or item as well as any usage thereof (e.g. benefits of use) cannot be returned or only in part or in a deteriorated condition, you must provide compensation for the lost value. You must only pay compensation for deterioration of the item and for any usage made to the extent that the usage or deterioration is due to the handling of the item, which exceeds an inspection of the properties and functions of the item. “Inspection of the properties and functions of the item” relates to the testing of the respective goods, such as would be possible and usual in a shop. Items capable of being returned as parcels are returned at our risk. You must cover the normal costs for returning the goods, if the delivered goods correspond with the ordered goods and the price of the item to be returned does not exceed 40 euros, or in the event of a higher price, you have not provided the service in return or the contractually agreed part payment at the time of the revocation. Otherwise, the return is free of charge for you. Items not capable of being sent as parcels will be collected. Obligations to return payments must be fulfilled within 30 days. The deadline begins for you with the dispatch of your revocation or the item, for us with the receipt of said items. What does ECOCUT pro do? ECOCUT pro cuts off the worn edges precisely, making them sharp once again. After being cut, the wiper blades will work properly again without causing smears.